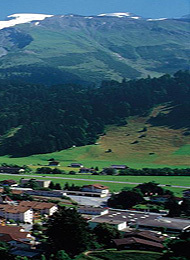 Engelberg is located 25 km south of Lake Lucerne in a wide mountain valley. At 3,239 meters, Titlis mountain with its glacier, and Hahnen mountain at 2,600 meters, are towering over the surrounding peaks. In the winter they make sure that there will be snow far into the spring season. One of the top 10 ski regions in Switzerland, Engelberg is also known for its diverse ski and freeride area. In the summer, on the other hand, it’s all about hiking, mountaineering, climbing, biking, and playing golf. The town of Engelberg is appealing because of its distinct and rustic character. The Benedictine monastery was founded in 1120 and has a great impact on the life of the village, even today. Monks still live, work and teach there. The homes left over from the Belle Epoque are also witnesses of that time period. In combination with the pleasant Swiss flair, the special architecture lends the village its very own charm. 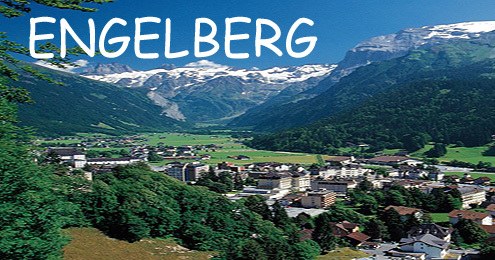 You will book your own flights and arrive independently into Engelberg. You will be met at the airport (Zurich airport) and taken to your accommodation. Your accommodation is included on the Sunday, our language courses start on Monday and finish Friday, departure day Saturday. There is other airport pick ups available at an extra charge. Sunday (Arrival day): Students should book a flight that lands before at 14:00. The airport representative and students will take the train from Zurich train station at 15:47 and arrive in Engelberg at 17:53. If all students arrive earlier, they will take the train of 13:47 – or even earlier. Saturday (Departure day): Students should book a flight that departs after 13:30. 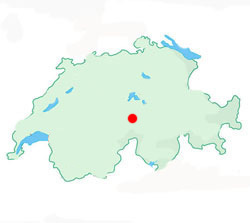 The airport representative and students will take the train from Engelberg at 09:02 and arrive at Zurich airport at 11:13. Located in a beautifully renovated 12th century Benedictine monastery in the centre of Engelberg, our summer camp provides students comfortable and modern twin bedrooms, spacious classrooms, a games area and plenty of space to hang out with friends. 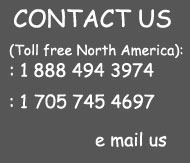 Present and available from the first to the last day, our team of specially trained school monitors gives the required assistance and watches over everything. Adapted to the age of the participants and to the type of accommodation booked, this attentive and effective supervision manages to remain discrete. It allows for everyone to enjoy their stay in complete freedom and security. In order to guarantee security, 24-hour surveillance is organised in all of the residences and an emergency number, which can be reached at all times, is in service in each Centre. Parents need to sign authorisation form in order for students to leave the residence on specific time slots. No authorisation to leave the residence in the evening or at night. No authorisation to leave the camp alone for students under 14 years old.